This statistic presents information on the fastest growing flash sale sites worldwide from 2009 to 2014, based on compound annual growth rate. 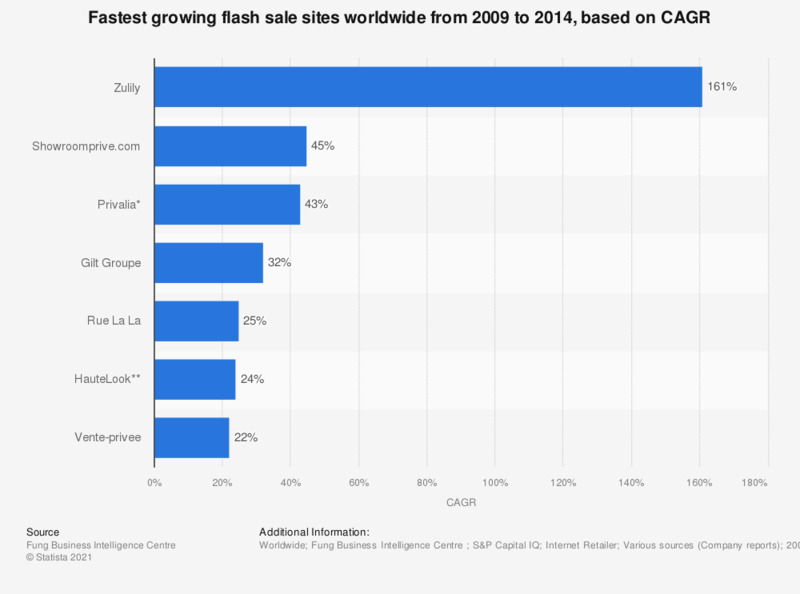 During the survey period, Zulily was ranked as the fastest growing flash sale site. The company saw a compound annual growth rate of 161 percent from 2009 to 2014.